As we’ve seen in the past with other wacky products that don’t exactly make sense, this hasn’t stopped someone from creating a Kickstarter focused on the case I described above, complete with an eye-roll inducing name — the ‘Sphoon_phork.’ That said, the case’s Kickstarter page is still somewhat amusing, though it has only raised $122 CAD of its $14,686 goal three days into its campaign. The campaign is set to end on February 14th. “For over 12,000 years, humankind has strived to create the perfect civilization. We invented agriculture. We invented the wheel. We created a system of laws. We sent people to space. Now, a new chapter in our history has begun. Ladies and gentlemen, we bring you: the Sphoon_phork,” reads an excerpt from the case’s Kickstarter Page. 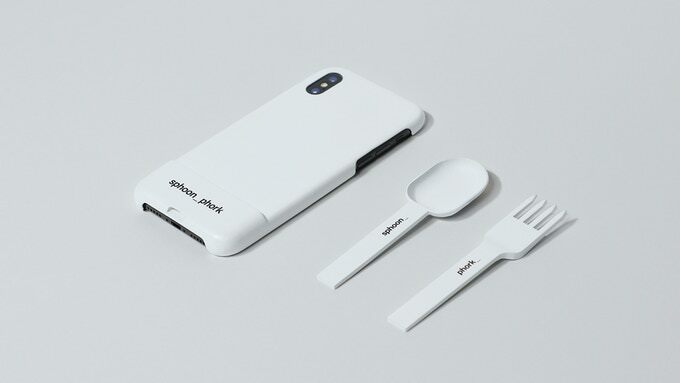 The page then goes on to state that it took the team behind the Sphoon_phork roughly “a year to achieve the perfect design for a seamless experience of simultaneously eating while browsing.” It seems that the case’s ultimate goal is to allow you to continue to scroll through Instagram while still mowing down on food. The way the actual case works seems relatively straightforward as you may have already guessed. 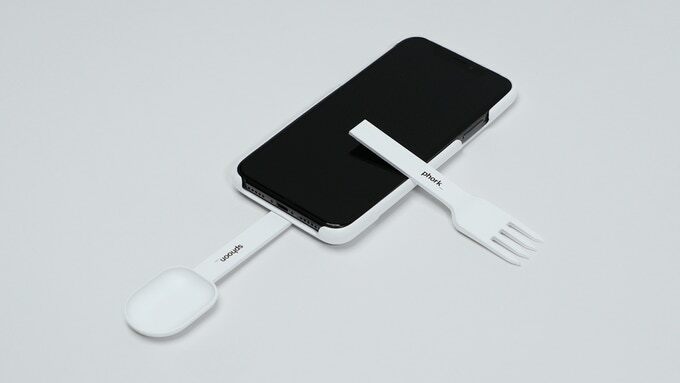 The spoon or fork attaches to the base of the smartphone case, allowing you to awkwardly still use your chosen utensil while watching Netflix’s new Fyre Festival documentary. As far as I can tell, that really is all there is to it. The Kickstarter page states that the case will launch for the iPhone 7, iPhone 8, iPhone X and iPhone XS first, with plans to release additional versions in the future, including specific cases designed for the Samsung Galaxy S9, Galaxy S9+, Note 9, Google Pixel 3, Pixel 3 XL and a variety of other Android devices. It also looks like the Sphoon_phork will first release in white, though the ridiculous case’s Kickstarter page says that “more funky colours” are coming in the future. Kickstarter Early Bird pricing starts for the Sphoon_phork starts at $39 CAD with a June 2019 shipping date.